Nicholas Latifi got his 2019 FIA Formula 2 campaign off to a perfect start with an emphatic win in the opening Feature Race in Bahrain on Saturday. Latifi and DAMS travelled to the Sakhir International Circuit following an encouraging pre-season period, and the 23-year-old qualified a strong fourth on the grid. The Canadian quickly worked his way up to second at the start and bided his time before taking the lead at one-third distance, opening a substantial advantage over his rivals. At the mandatory pit stop, an error while changing wheels cost Latifi valuable time and he dropped to fourth, but he swiftly set about making amends for the setback. 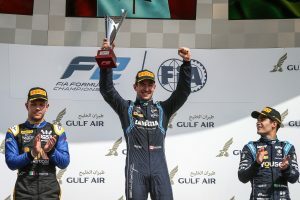 In a determined recovery, Latifi passed the top-three drivers across three successive laps to reclaim the lead and take the chequered flag in P1 after 32 laps of flat-out racing. “There’s no better way to start the season,” Latifi said. “I’m really, really happy for that. Over the winter in testing the guys worked really hard. “We were quite confident of the race pace going into today. It was definitely not an easy race because of the pit stop, but these things happen – it’s the first race of the season for us all. 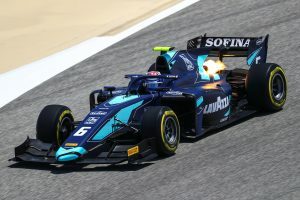 Latifi, who also holds the role of ROKiT Williams Racing Formula 1 Reserve Driver, was delighted to begin his 2019 title bid with the same race-winning pace he showed in 2018. Victory in the Feature Race means Latifi will start Sunday’s reversed-grid Sprint Race from P8. The race begins at 1415hrs local time.